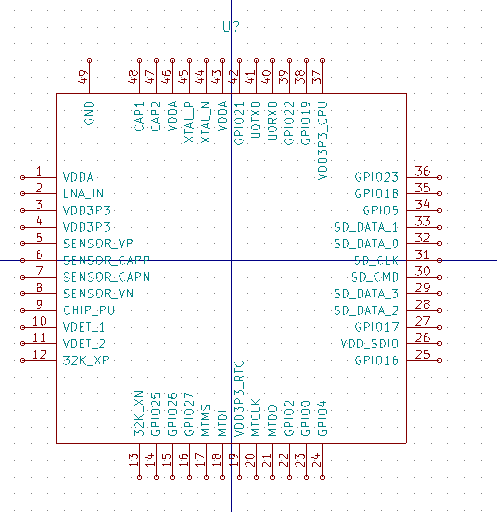 I’m starting a esp32 design as a possible migration path from the esp8266 based espusb. The esp32 is currently low availability, and is a much more expensive part, but figured I’d give it a crack. First up, a schematic symbol. I hate how long these things take, and that they rarely get shared, so here’s mine (download below).